Protecting my heart and the anointing upon my life has to go to a whole new level if I want God to flow through me especially on days like today. It's not even a question that there will be people at our service today who need the Lord, healing, deliverance, and a plethora of other things. The leader sets the pace for what's going to happen in that service. We have to show up READY. Yes, it's Jesus who accomplishes the work and He is counting on leaders who will be there, "game on" to be sensitive to His spirit. Showing up ready with our game on means that our mind or our spirit isn't sullied by things that aren't good for us. It takes fortitude to safeguard what God has entrusted to us. All that to say, I've guarded what's entrusted to me and I'm ready. Whatever God chooses to do at Celebration Church today, I'm in position -- body, soul, mind and spirit. Romans 8:6 says, "the mind controlled by the spirit is life and peace." Something one of my mentors, Sis. 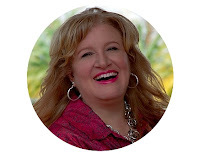 June Coker, taught me is that many believers wonder why they have no peace even after much bible reading and prayer and the answer is, if you let your mind run wild or allow just anything to be exposed to it, even if you're reading and praying -- no wonder you aren't at peace. You have to take authority over what you allow in, for a spirit controlled life to be possible. Someone once said, "Don't put in front of you, what you don't want inside you." That can go for ANYTHING in life that's not good for you. If things are a hindrance to you, don't expose yourself to them. Especially for those who are begging God to show up and do something and use you in any part of it, it's a great word to the wise. "The path of the righteous is like the first gleam of dawn, shining ever brighter till the full light of day. But the way of the wicked is like deep darkness; they do not know what makes them stumble. My son, pay attention to what I say; listen closely to my words. Do not let them out of your sight, keep them within your heart; for they are life to those who find them and health to a man's whole body. 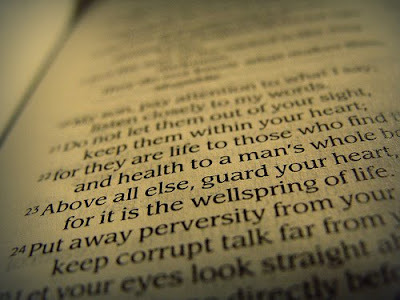 Above all else, guard your heart, for it is the wellspring of life. Put away perversity from your mouth; keep corrupt talk far from your lips. Let your eyes look straight ahead, fix your gaze directly before you. Make level paths for your feet and take only ways that are firm. Do not swerve to the right or the left; keep your foot from evil." On guard, Jesus! Ready, ready, ready for what you want to do today, in me and in Your church!!! "The leader sets the pace for what's going to happen in that service." True. The people also carry part of that burden. They have to also come expecting. If everyone is sitting around ho hum...just another day at XYZ church, that doesn't prompt a move of God either. If folk come looking for a show, no move of God either. A move of the flesh is more than likely. I've learned that if the people don't want a move of God, aren't hungry, no matter how prepared and ready to be used of God the leaders may be...Holy Spirit moves to where there is a hunger and a thirst. I wish it were predicated solely on my hunger or thirst for God's presence. Man! Couldn't agree with you more, Pastor Lisa! Thanks for stopping by as usual. I love you my friend.